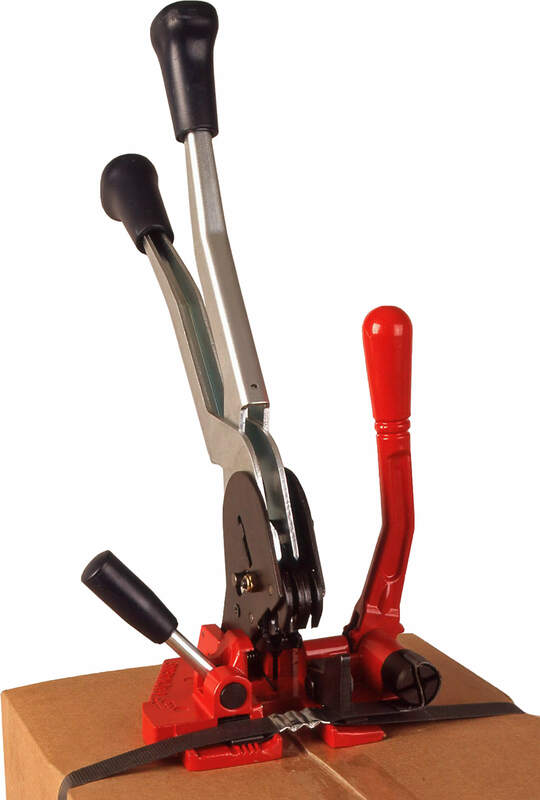 A complete range of PP strapping tensioners and crimpers. Also range of combination strapping tools for tensioning and crimping in one tool. PP strapping dispensers also available. Tools to suit 12, 16 & 19mm PP strapping. Made from formed steel, the Venhart crimpers feature heavy duty pivot bolts and shoulder bolt, fastened with nuts (not circlips) for longer life and easier replacement of crimping jaws. Strong crimping teeth emboss the seal for excellent grip. This medium crimper for PP and polyester strapping can be used with Venhart seals, XSOP4, SUPER 4 & KU12 (12mm); XSOP5, SUPER 5 & KU15 (15mm); XSOP6 and SUPER 6 (19mm). 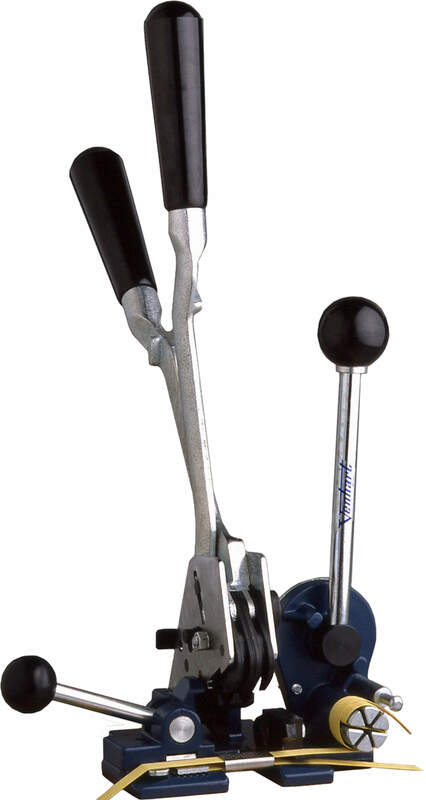 Made from formed steel, the Venhart crimpers feature heavy duty pivot bolts and shoulder bolt, fastened with nuts (not circlips) for longer life and easier replacement of crimping jaws. Strong crimping teeth emboss the seal for excellent grip. 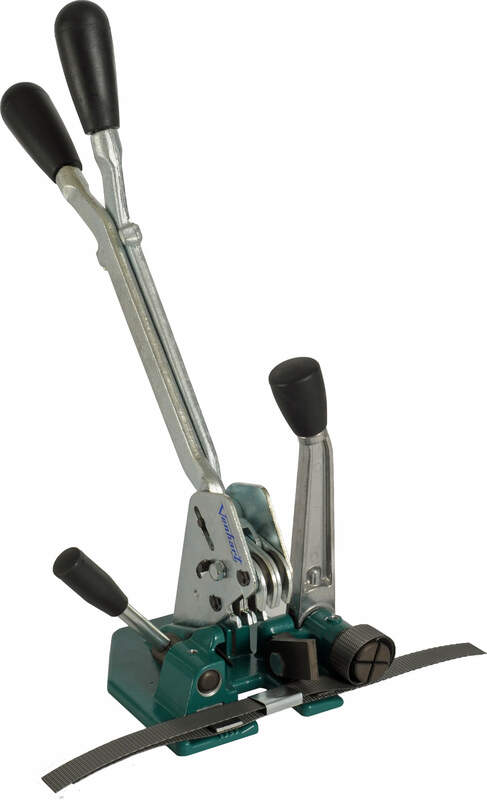 This extra heavy duty crimper is for heavy band pp & polyester strapping. It has extra long 460mm handles and comes in 3 sizes: 12mm, 15mm & 19mm. Use with Venhart seals, XSOP4, SUPER 4 & KU12 (12mm); XSOP5, SUPER 5 & KU15 (15mm); XSOP6 and SUPER 6 (19mm). 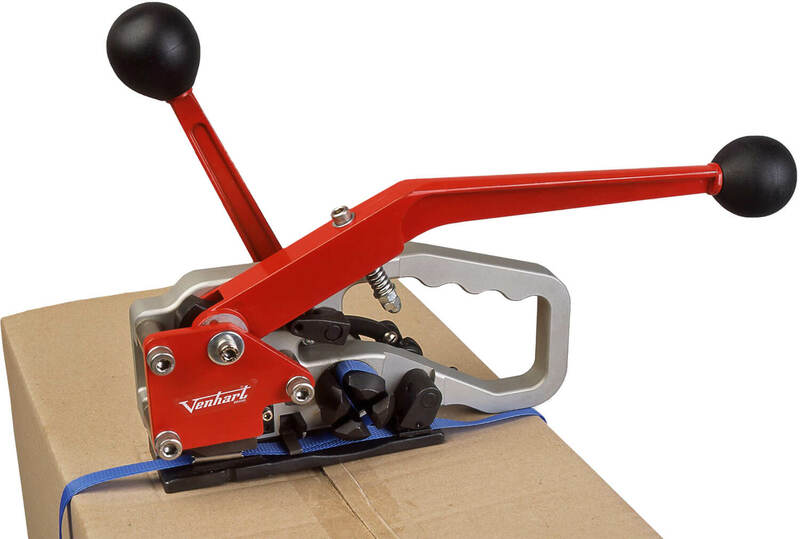 The Venhart No 85GS Crimper is a hand operated polypropylene strapping crimper. Suits 12mm & 15mm PP strapping. 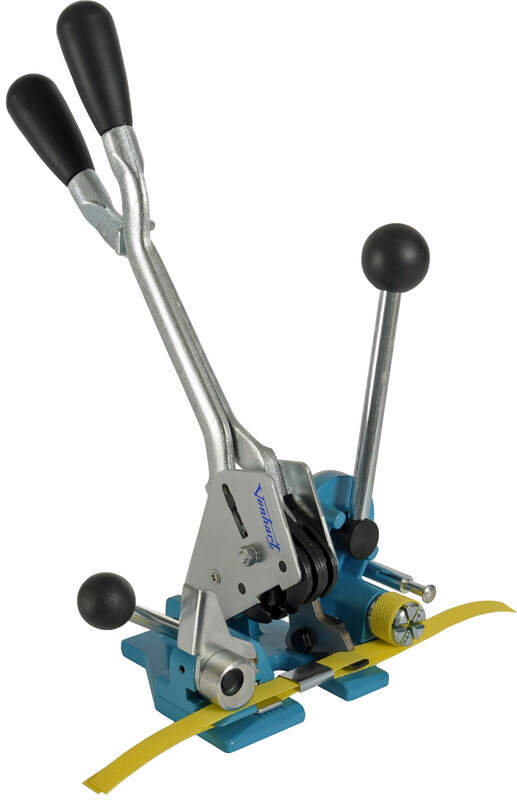 The No 83 Poly Strapping Tensioner is a feed wheel type tensioner with square locking foot. Medium tensioner for PP strapping. The ratchet mechanism in the No 83D Tensioner has a torsion coil spring instead of the usual toggle spring, for smoother, more efficient operation, longer life and easier servicing. The 833D Poly Strapping Tensioner is designed for heavy band PP and polyester flat or embossed strapping. Gripper teeth: sharp. The 83GS is an all steel feedwheel tensioner. No 74 poly strapping combination tensioner crimper designed for polypropylene strap. Suitable for 15mm & 19mm PP strap. No 72 Eco Combination is our economy model combination poly strapping tensioner crimper. 12mm, 15mm & 19mm units available. No 77 combination poly tensioner crimper designed for polypropylene strapping. 16mm & 19mm units available. One handle does it all. Pump the handle to tension, press button then raise and lower handle to crimp, press handle all the way down to cut. Designed for tough, high grade strapping. Use with Venhart SUPERX4 seals. Combination poly strapping tensioner crimper for 12mm & 16mm PP strapping. The silent, double speed ratchet enables tensioning in half the number of strokes. Use with Venhart seals: XSOP4, 5 & 6; SUPER 4, 5 & 6; KU12 & 15. 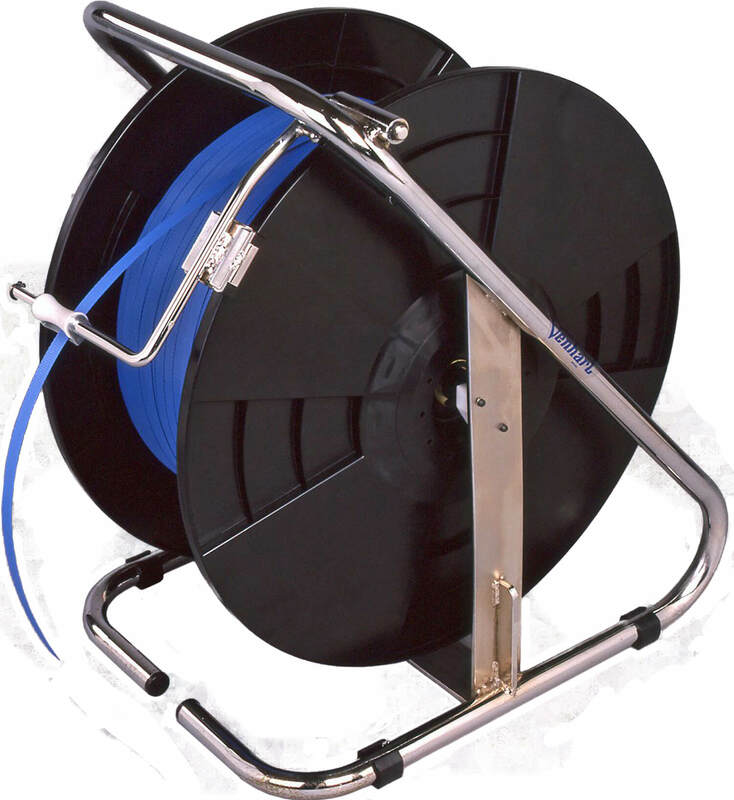 Combination tool for polyester and polypropylene heavy band strapping (0.4-0.9mm thick). 12mm & 15mm units available. The VH11AC Strapping Dispenser is designed for PP & PET strapping on 200-400mm ID to 600mm OD. Comes with handy tool box. Rubber wheels for easy mobility. 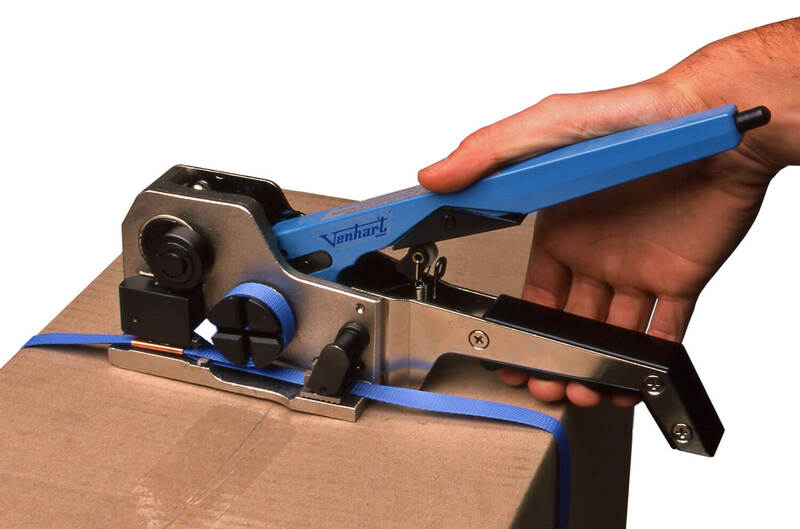 The VH8E PP Strapping Dispenser has a strong tubular steel frame finished in chrome and ideal to dispense strapping within your despatch or warehouse operation. Easy loading: one large wingnut secures the spool in place and a spring activated brake prevents strap from overfeeding. Suits 200mm wide rolls with 200mm ID core (including Venhart 3000 metre machine band & 1000 metre heavy band burgandy and black strapping). Size: 460mm wide x 390mm deep x 570mm high. 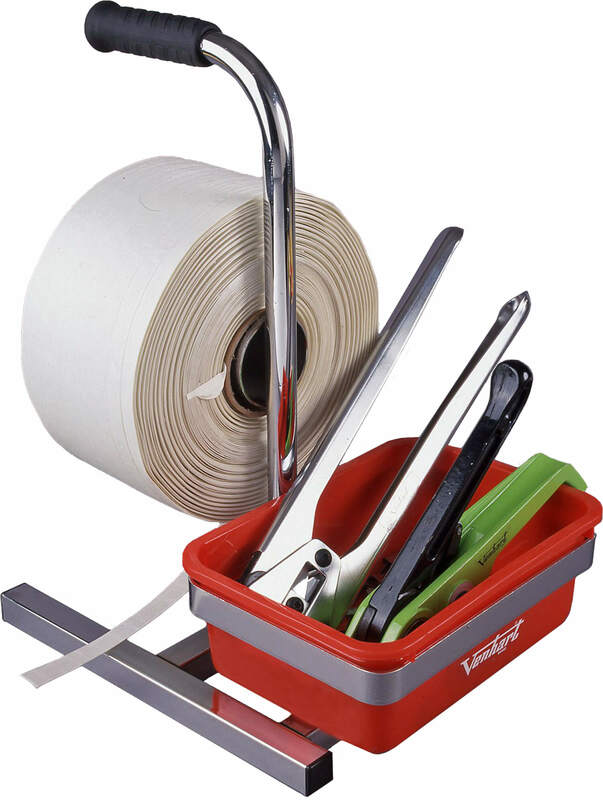 The VH9E Strapping Dispenser is manufactured in strong tubular steel and finished in chrome to ensure durabilitiy. Easy loading: one large wingnut secures the spool in place and a spring activated brake prevents strap from overfeeding. The VH 9E suits 200mm wide rolls with 200mm ID core (including Venhart 3000 metre machine band & 1000 metre heavy band burgandy and black strapping). Size: 510mm wide x 460mm deep x 890mm high. 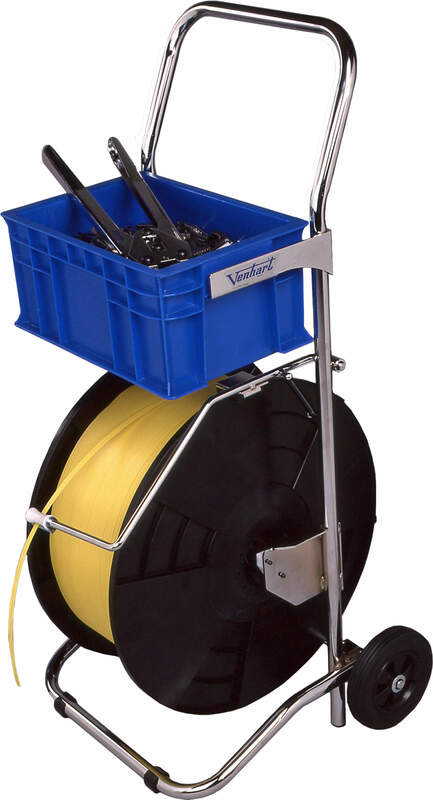 Extra on the VH9E model: 150mm wheels, rubber tyres & large tray for tools & seals. 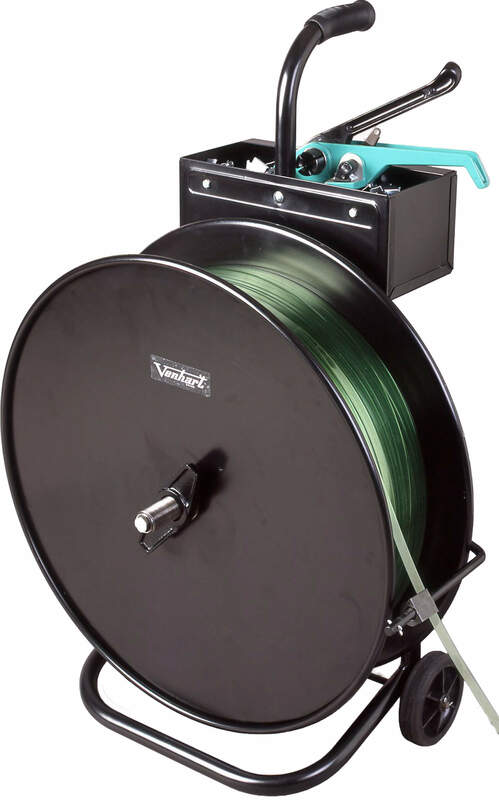 The VH10E Strapping Dispenser suits polyester cord band strapping and is built to last in strong tubular steel.